YoYoExpert Blog & Yo-Yo News – MonkeyFinger Gelada is BACK with a YoYoExpert Special Edition and MORE! MonkeyFinger Gelada is BACK with a YoYoExpert Special Edition and MORE! The MonkeyFinger Gelada had an initial sell out release here at YoYoExpert and we now bring it back with some new really stunning colors for a much requested restock! The best part is our new YoYoExpert special edition!!! 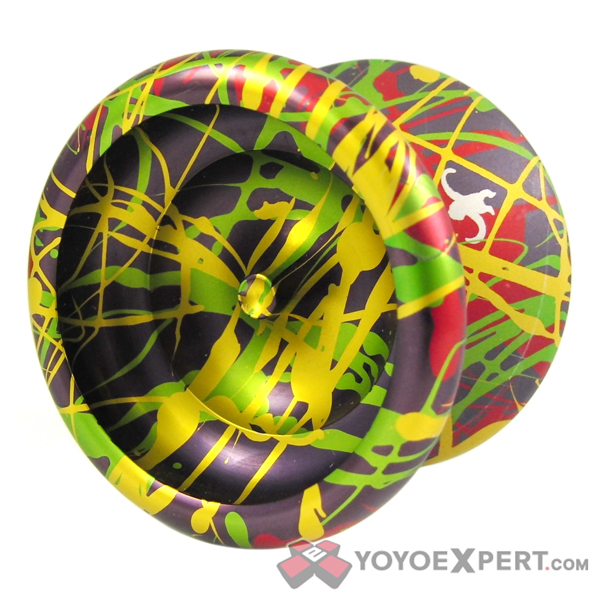 Even features a completely custom YoYoExpert logo anodized on the side. Red Acid Wash Base with Black and Silver SPLASH! The Gelada is all about making a powerful playing yo-yo with fine attention to detail. 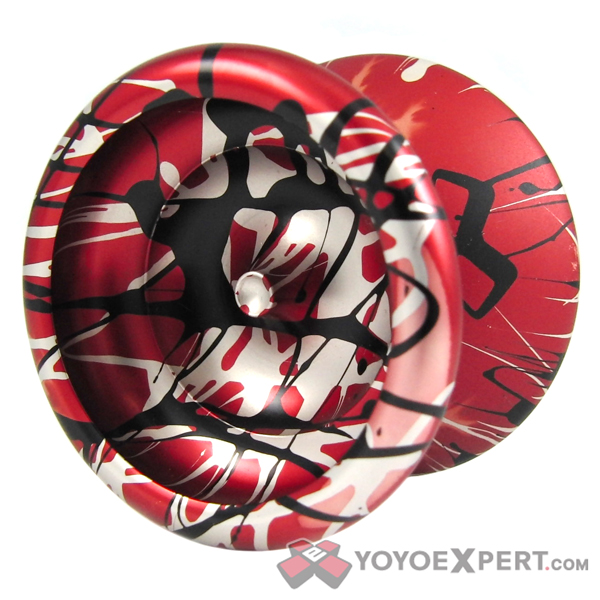 The yo-yos shape is comfortable and rounded with a well thought out inner cup area as to showcase the design. They spared no expense with the Gelada and each one is hand anodized by them in some magnificent colors! On each yo-yo there is actually a ‘MonkeyFinger’ logo that was left shiny while the body itself is blasted for a nice smooth grind finish. In addition a monkey or canada leaf is anodized into the body and the inner cup area is left extremely shiny too. General Yo HATRICK 10th Anniversary Edition! New MonkeyfingeR Release! The CONSPIRACY!